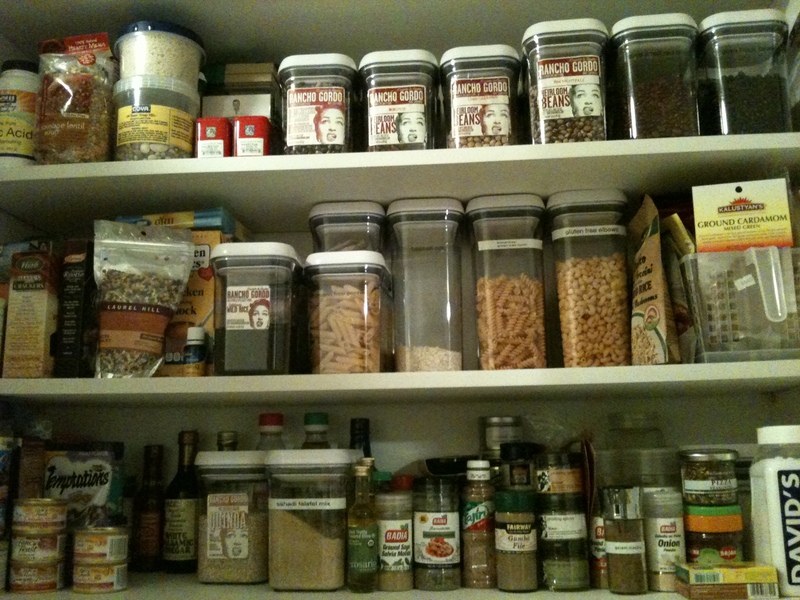 it’s cabinet organization day and as i work through the shelves, i realize that i have like 20 kinds of beans on hand and i’m not using them anywhere near often enough. 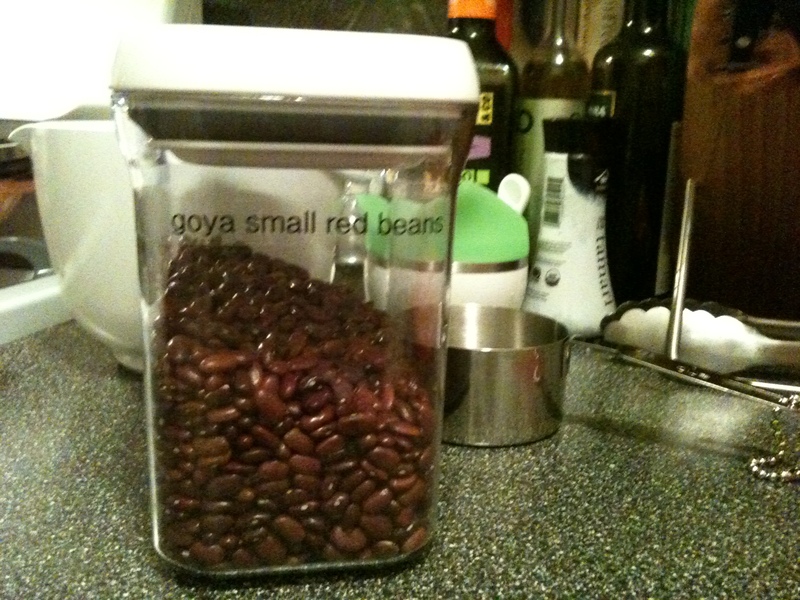 the small red beans are the first up at bat. i think the borlotti beans or the good mother stallards will be next. 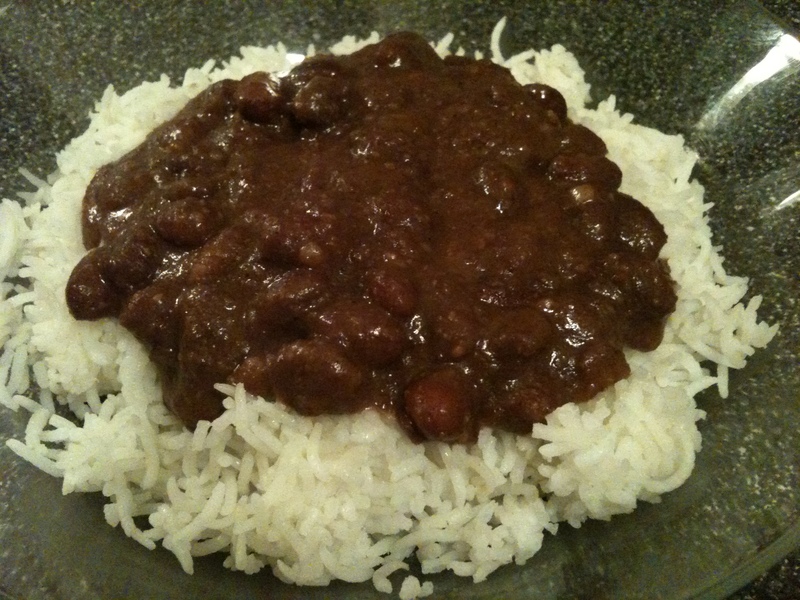 red beans & rice seems like the perfect dish for this slightly chilly day and the cooked red beans will freeze well, for later. 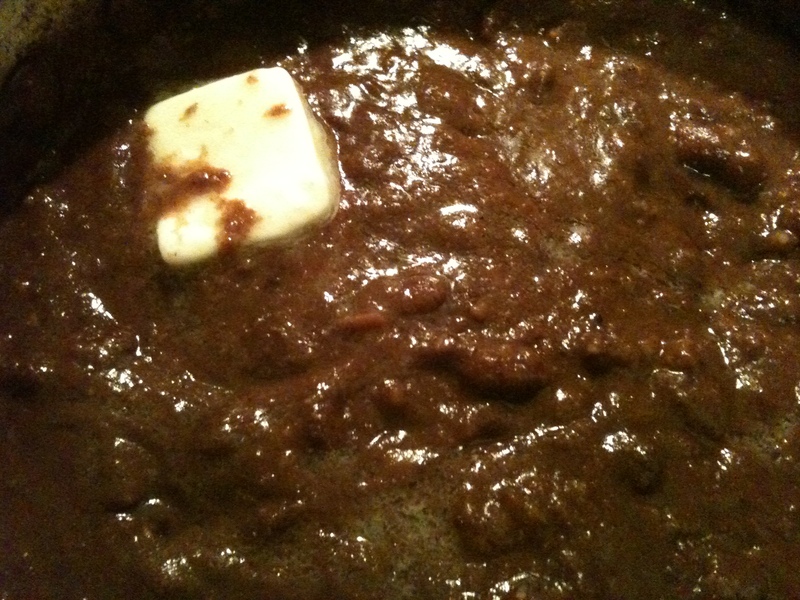 my preferred recipe is adapted from The Buster Holmes Restaurant Cookbook, it’s a very simple recipe: beans, water, onions, green pepper, garlic, smoked meat, salt, pepper and margarine. instead of ham hocks, i use bacon ends. i also add finely diced celery and use butter instead of margarine to finish. Sort the beans and remove any debris (rocks, etc.). 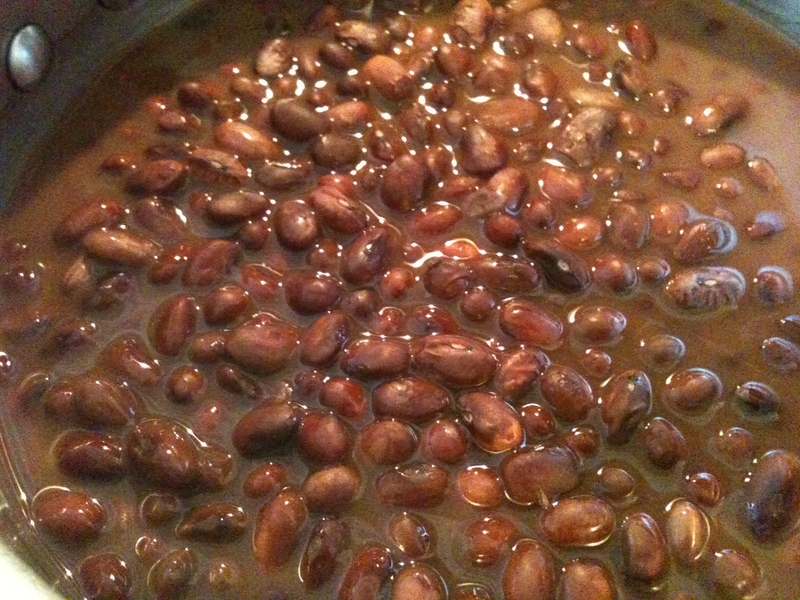 Wash the beans and place in a heavy bottomed pot. 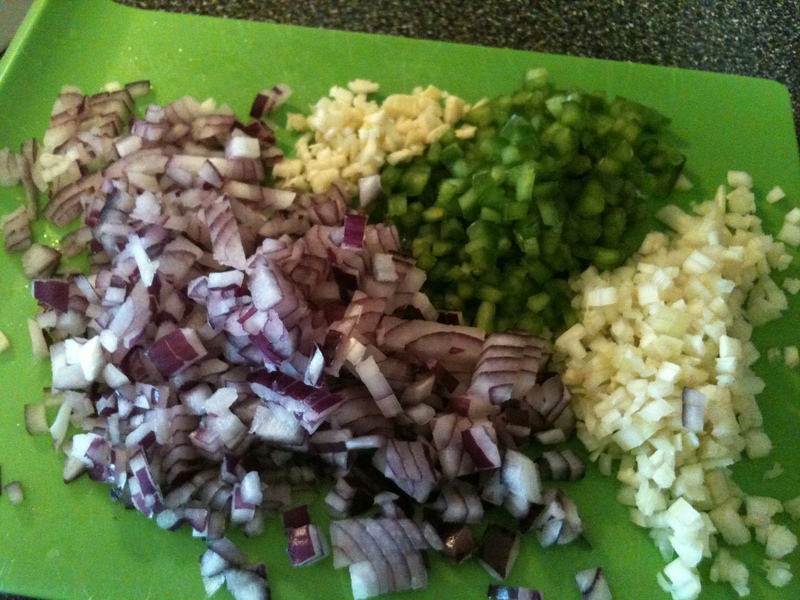 Add onion, bell pepper, celery, meat and garlic. Add enough water to the pot to cover. Simmer uncovered on a medium low heat for about three to four hours (if you use canned small red beans you can cook this in just about one hour), stirring occasionally. Adjust the heat to compensate for the amount of cooking liquid lost, add liquid if you need to. 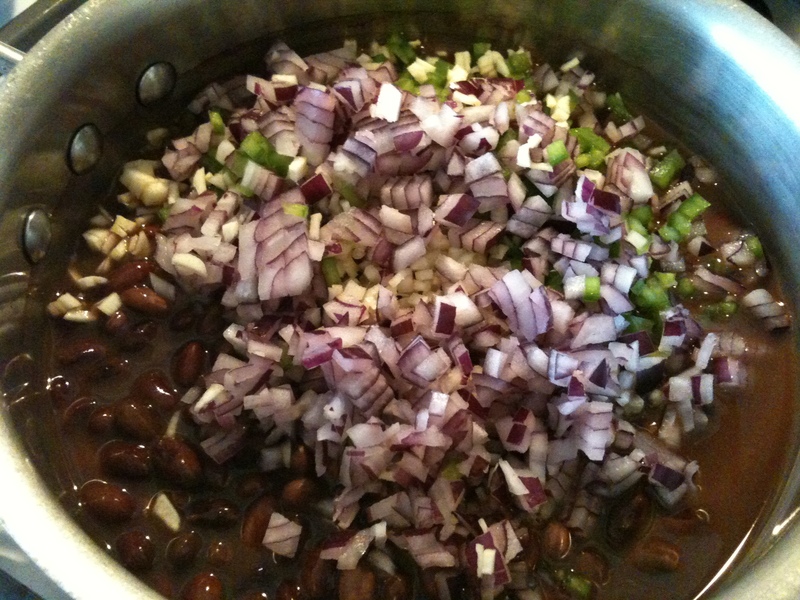 You’ll want to have enough liquid for the beans to have a nice consistency at the end of the cooking time.